The extension group of Pt. 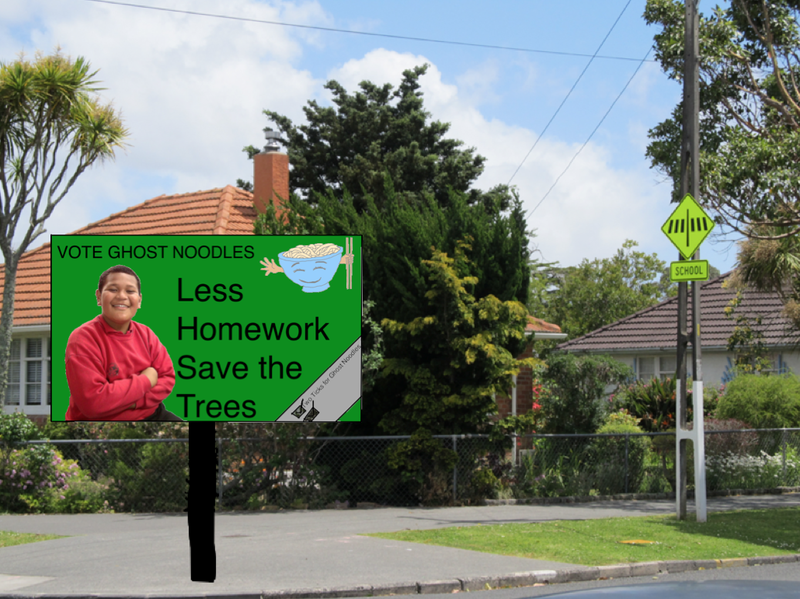 England School got a task to make our own billboard for the elections. The reason we had to do this is because we have been learning about this all week and the elections are are coming up this Saturday. We had a choice to make our own party or stick to the real party that we got to choose. This is my billboard. My prediction for this weeks election is that Labour is going to win. This is because I think their way of seeing New Zealand's future is better then other party's. There are two very important things that are involved in the elections and they are MMP and First Past the Post. Fist Past the Post is when a person crosses out a box next to a candidate and the candidate with the most votes wins and the other votes don't matter. MMP stands for Mixed Member Proportional. MMP is a voting system that was originally used to elect representatives to the German Bundestag. I really hope that Labour will win the elections. GO LABOUR. Well done Crusader. Your billboard looks so real! I hope you've enjoyed learning about the different political parties this week in class. It's a huge job that our politicians take on isn't it?! Hope our community gets out to vote this weekend. Malo lava Crusader. Your bill board looks excellent. I like your slogan. I also wanted Labour too win but they didn't. It's o.k though John Key will run the country well. I think that your billboard is good. I didn't get a chance to find out what MMP stands for. I thought that labour was going to win as well.